Annihilation, British writer-director Alex Garland’s follow-up to his superb 2015 debut feature Ex Machina, may herald a new era of film-making but perhaps not for the reasons he hoped for. That’s because, while it’s been granted a full cinema release in the US, internationally it will be released solely on Netflix. And though the strategy might have worked for the recent likes of Bright and The Cloverfield Paradox, given rumours that Paramount were spooked by test audience reactions to Annihilation it’s hard not to feel like this represents the 21st century equivalent of dumping a film straight to DVD – a rough fate for a movie that cost upwards of $50 million. 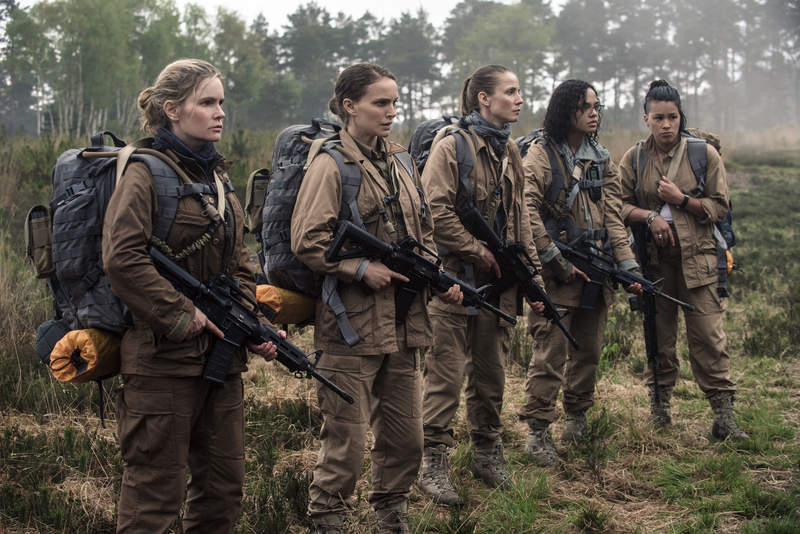 Which is a shame because, ironically, the most fascinating thing about Annihilation is its almost perverse refusal to pander to audience sensibilities. Loosely based on Jeff VanderMeer’s novel, it’s an undeniably ambitious and almost breathtakingly bizarre effort. 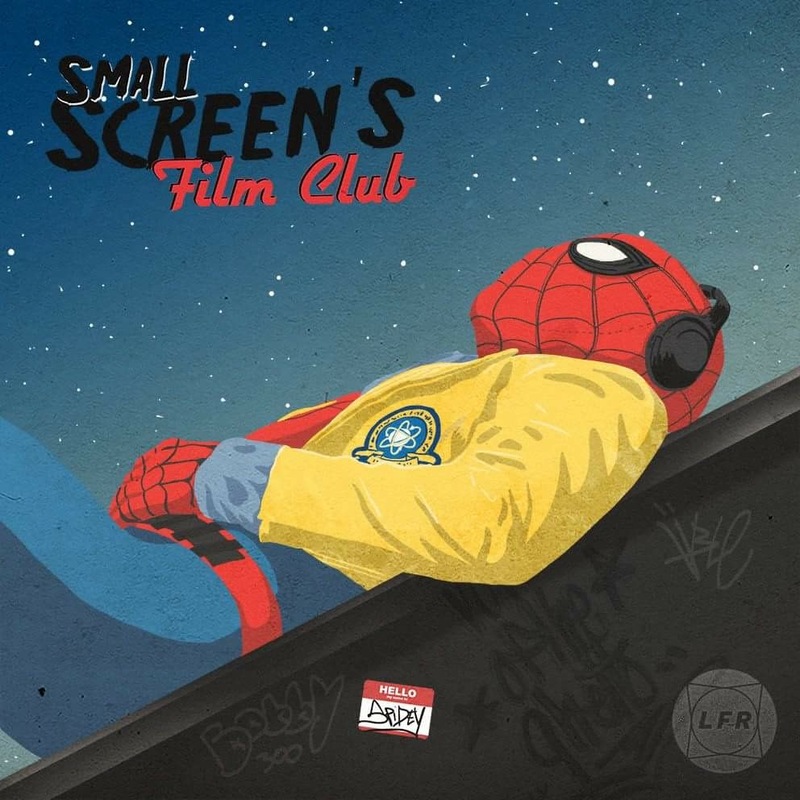 Natalie Portman plays Lena, a biologist still grieving after the disappearance of her Special Forces husband (Oscar Isaac) on a classified mission the year before. When he abruptly reappears, her initial delight is quickly tempered by his odd behaviour and rapidly declining health. Taken into custody by the military, she learns that her husband is the first person to ever return from the Shimmer, a mysterious and expanding anomaly on the southern US coast that has claimed the lives of everyone else who has entered it. Desperate to understand what has happened to her husband, she joins an expedition heading into the anomaly to discover its source. The boundary is getting bigger, it’s expanding. We’re talking cities, states. To say too much more would be to spoil the intriguing surprises Annihilation has in store. Suffice to say that their journey becomes an occasionally dream-like, occasionally nightmarish voyage into the heart of darkness. And though there are similarities to other works – the Lovecraft tale The Colour Out of Space is an obvious touchstone, and I was also reminded at times of 2001 and Danny Boyle’s otherwise much more straightforward Sunshine (itself written by Garland) – Annihilation, for the most part, steers clear of obvious genre tropes. The five members of the expedition, for example, are not the mindless monster bait of most horror films but intelligent problem solvers who react naturally and practically to each new otherworldly occurrence, even as the strain begins to tell. Not all of the characters are as well developed as Portman’s (the flashbacks to Lena and her husband’s earlier relationship are touchingly warm and emotionally convincing), but neither are they mere cyphers. As Ventriss, the psychologist and leader of the expedition, Jennifer Jason Leigh is a hypnotic and slightly sinister presence. Tessa Thompsons builds on her rising star credentials with an affecting performance as Josie, a young physicist. Rounding out the group are paramedic Anya (Jane the Virgin‘s Gina Rodriguez) and geologist Cass (Swedish actress Tuva Novotny), both of whom do a lot with small roles. I need to know what’s inside. I could save him. 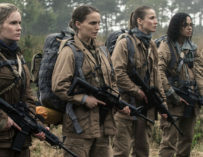 Each of these women (and though Annihilation doesn’t make a big deal of its all-female ensemble it’s a rare thing indeed for a genre film of this scope) carries with them some past or present trauma – self-harm, alcoholism, a dead child, a broken marriage, a terminal illness. Does their voyage into the Shimmer represent the fulfilment of a death wish? Ventriss doesn’t think so. ‘You’re confusing suicide with self-destruction,’ she says, a tendency to which, the film implies, we are all prone. Either way, not everyone is going to make it out alive. Horrific dangers do indeed lurk in the Shimmer’s depths, and though Annihilation never quite becomes truly terrifying Garland displays a knack for spine-chilling imagery (there’s a particularly gruesome scene of body horror) and, notably, sound (aided by an eerie soundtrack from Ben Salisbury and Portishead’s Geoff Barrow). 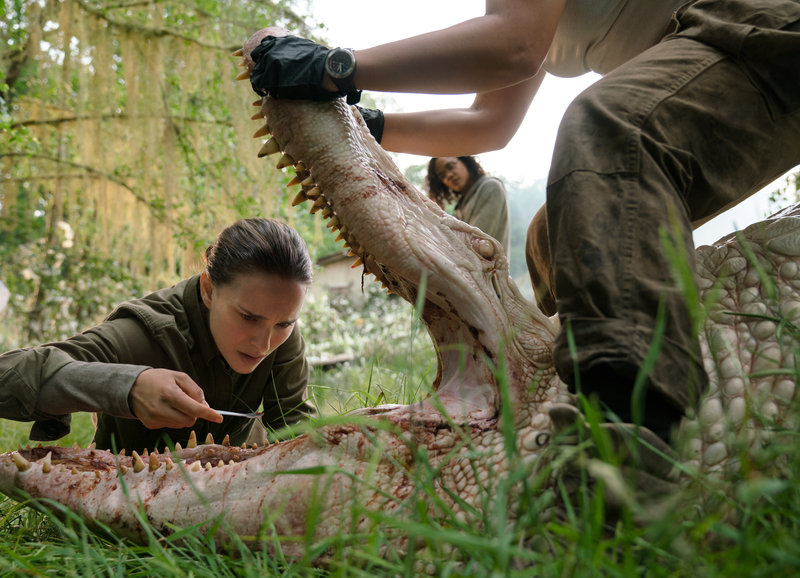 Annihilation consistently unnerves not least because it continuously surprises, offering up shocks that are effective precisely because they are unexpected. They’ve sent in drones with teams of people, but nothing comes back. Garland nonetheless leavens the horror with moments of genuine beauty. He saturates the Shimmer with colour and dots his vistas with crystalline structures and human-shaped plants, lending the landscape a surreal, hallucinatory aura. 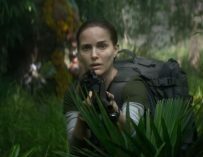 Indeed, the small screen doesn’t do his inventive imagery justice – for full effect, it does feel like Annihilation should be viewed in a cinema. Garland’s professed disappointment with the Netflix release is understandable. If that failing may have been out of Garland’s control, other issues can be laid more directly at his feet. The dialogue between the group is sometimes stiff and unconvincing, with a tendency towards the expositional. More problematically, Annihilation walks a fine line between the pleasingly strange and the overtly pretentious, and sometimes it totters over onto the wrong side. Its weirdness sometimes beguiles (as in its stunning last half hour) and sometimes just bewilders, and its ambiguous ending feels unearned and oddly rote. Annihilation looks set to be a divisive release. It’s hard not to admire how uncompromising a blockbuster it is, its genuine thoughtfulness or its refusal to hold its audience’s hands. 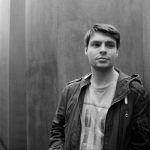 With it, Garland continues to stake his claim as one of the most intriguing sci-fi film-makers operating today. But while Annihilation will haunt some viewers, it will bore and baffle still more. 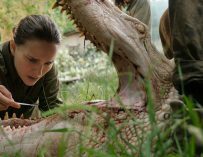 It’s a film designed to leave their viewers scratching their heads, but not least among the questions they’ll ask is whether, beneath all the weirdness, Annihilation actually means anything.